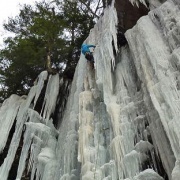 Catskill Ice Festival 2013 – This Weekend! February 8, 9, 10, 11, 2013. The ice conditions are looking great for this event! Hope you can make it! 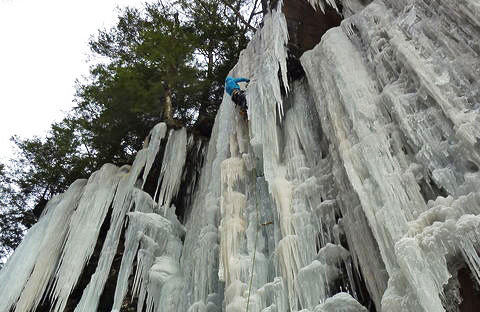 Get pumped for the Ice Fest with A Local’s View of the Devil’s Kitchen by Ryan Stefiuk. “Last year was great fun. This year we will have multiple clinics on all the skills and techniques you need to get out on ice – from basic skills, to dry-tooling, to glacier travel techniques. Slide shows on Friday & Saturday evening feature the Catskills – see an aerial view on Friday night with Marty Molitoris, and get the beta on the latest mixed and ice routes by Christopher Beauchamp. Slide shows will be held at Rock and Snow at 8pm. Rates are $150 per person per event – Slide shows are free! https://www.neice.com/wp-content/uploads/2013/02/HellHoleIceFestPhoto.jpg 312 480 NEice Admin https://www.neice.com/wp-content/uploads/2017/10/2012_NEice_logo_oval_blk6-1024x350-300x103.png NEice Admin2013-02-05 11:25:032013-02-05 11:25:03Catskill Ice Festival 2013 - This Weekend!